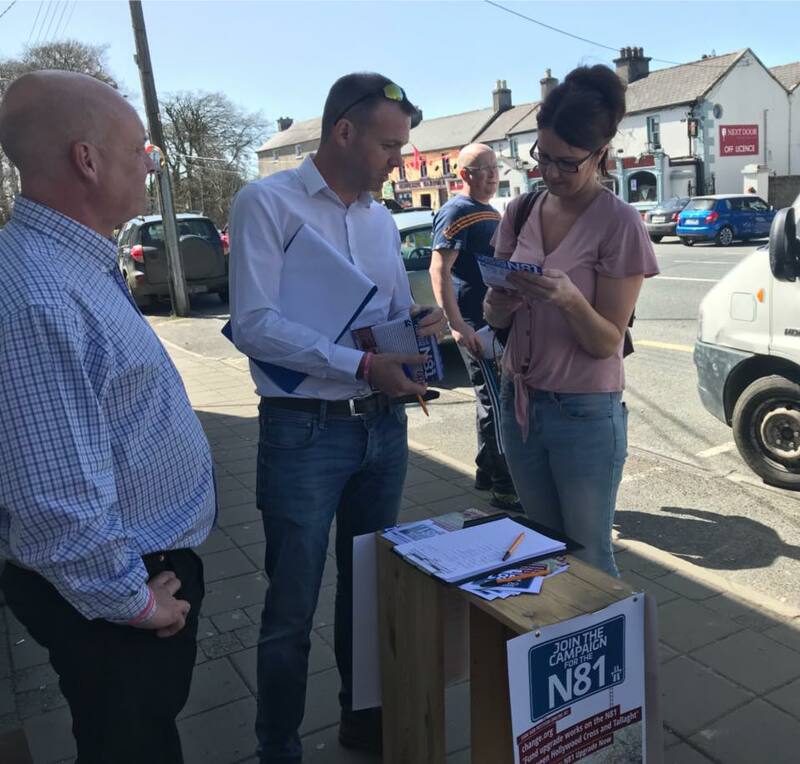 Sinn Féin TD for Wicklow John Brady has secured a meeting with Transport Minister, Shane Ross to discuss the decision not to include the N81 Tallaght to Hollywood Cross road improvement scheme in the Government’s Capital Investment Plan. “After numerous requests since January for a meeting with Minister Ross to discuss the decision not to include the N81 Tallaght to Hollywood Cross road improvement scheme in the Government’s Capital Investment Plan, I am delighted to have secured a meeting on June 13th. “It is essential that Minister Ross and his officials hear first-hand the major safety issues that people face daily, when using the N81. It is incomprehensible how any decision making person, particularly the Minister could ignore the horrific safety statistics of the N81. The figures show that the N81 between Tallaght and Hollywood Cross has up to seven times the national average of head-on collisions, and two times the national average of single-vehicle crashes. Sinn Féin representative for West Wicklow Aidan Kinsella said “The Minister also needs to hear how the decision not to fund this critical project will impact on the economic and social development of West Wicklow. A delegation from West Wicklow will also be there to put this message across. This issue shouldn’t be party political, so it’s important that all five Wicklow TDs are present to put a strong argument forward along with local public representatives. “We will be calling on Minister Ross to include the N81 in the Governments Capital Investment Plan and ensure priority is given to fund the upgrade project. Teachta Brady concluded “I have also requested that a representative from Transport Infrastructure Ireland attend the meeting and I hope that Minister Ross will facilitate the request. This will ensure that all necessary bodies are at the table.